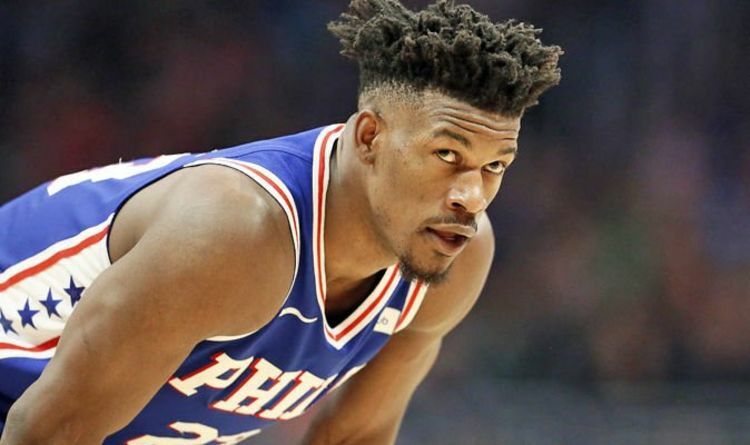 Butler was part of one of the biggest trade sagas of the season when he left the Minnesota Timberwolves for the Sixers in November. He had called out Timberwolves management and was involved in clashes with team-mates before the move. The controversial star requested a trade from the Wolves in pre-season before the beginning of the campaign, and moved on November 12. Now, it seems Butler is up to his old tricks again. Last week, it was reported that the star had been involved in a heated debate with 76ers head coach Brett Brown over his role in the team. And since that dispute, NESN reports that rival teams have contacted the 76ers about his trade availability. It remains unlikely, however, that Butler will be moved, as he is in the final few months of his contract and will be a free agent in the summer. Butler downplayed the dispute, however, and insisted there was nothing really to it. “I don’t think any part of it was confrontational,” he said. “[It was] just a coach to player talk, a player to coach talk. “It just happened to be in front of everybody. Butler admitted that he knew not everyone is a fan of him, and that he was a polarising figure. “To tell you the truth, I hope my teammates, the staff, organisation — I hope they don’t pay attention it like I don’t pay attention to it,” he continued. “Obviously everybody wants to tell me about what’s going on. I can’t help what people think.